Looks like WordPress.com have just rolled out a new admin refresh – probably the most substantial change in quite a few versions. 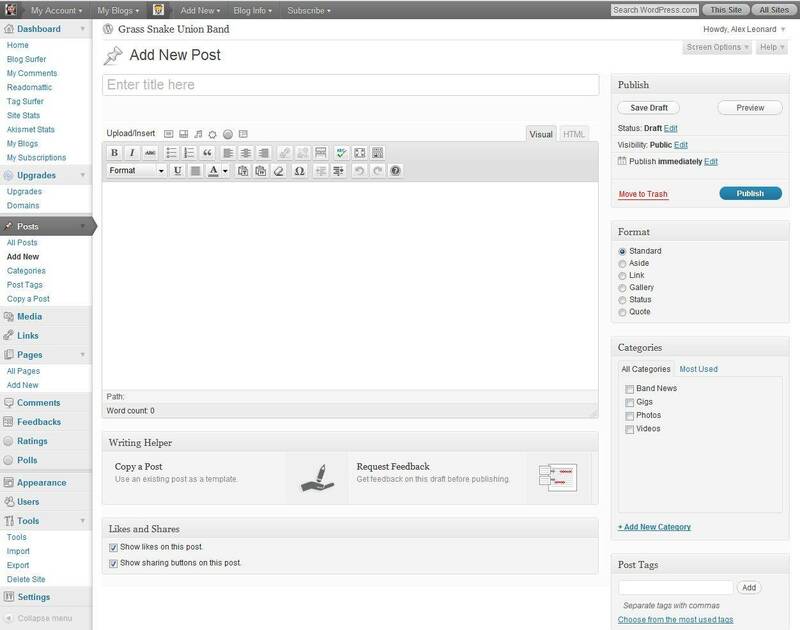 I’m guessing this is what is available in the upcoming WordPress 3.2. I’ve been meaning to test out the beta but haven’t quite gotten round to it – been too busy with other things. Good to see WordPress continuing to refine and improve! Oh, and I’m really liking the full screen distraction-free writing mode, a very nice little touch (I’d say I’ll move on to the beta pretty soon).